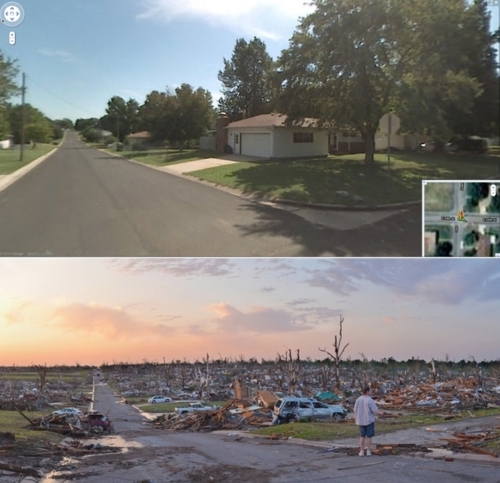 Photographer Aaron Fuhrman has been posting photos on his Flickr stream of old Google Streetview images of Joplin with shots taken after the tornado. Amazing devastation. Too bad that guy looking at the pile of rubble that used to be his house got in the shot. Freaking ruined everything. He really needs to start thinking about others.